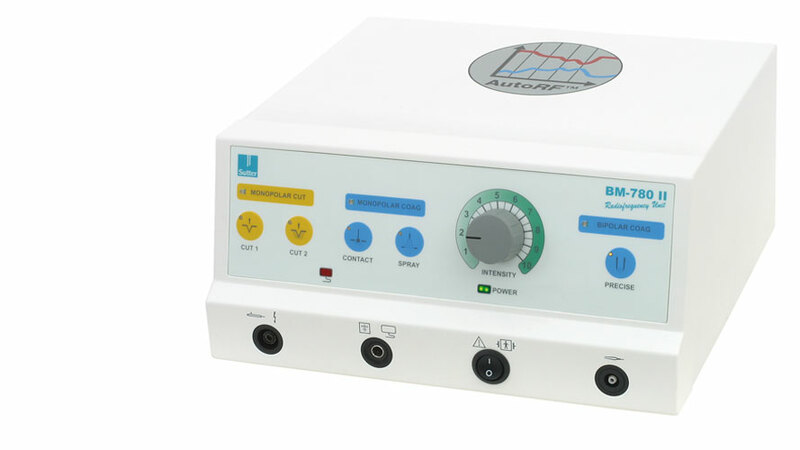 The BM-780 II radiofrequency generator is ideally suited for small surgical interventions in ENT clinics and doctors’ offices, for plastic surgery, and dermatology. AutoRF™ is a smart impedance control function that will tailor the RF power output to the tissue condition. Whether it is cutting through different types of tissue or altering tissue conditions during coagulation, the AutoRF™ feature will deliver adapted power output as required by the different tissue impedances. 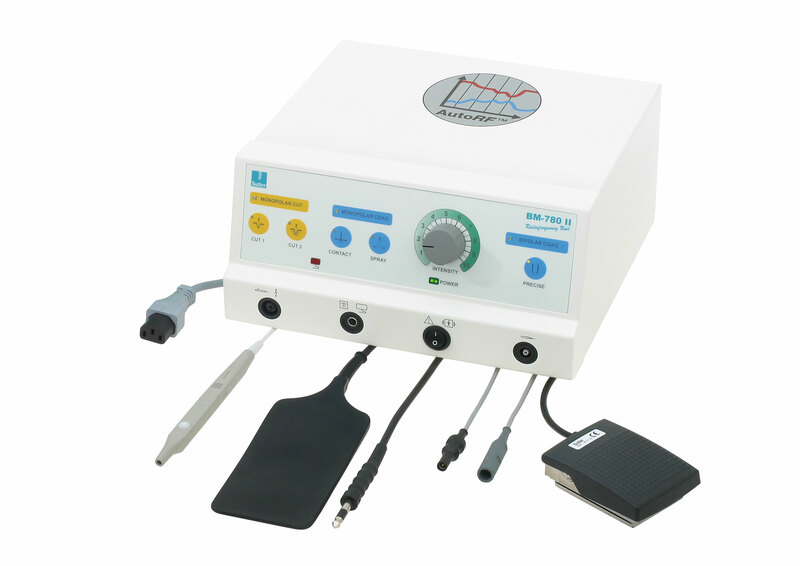 Thanks to AutoRF™ the BM-780 II is a comfortable and safe radiofrequency unit. Cutting and coagulation results are reproductible. In bipolar coagulation the power output is reduced according to the degree of coagulation and the desiccation of tissue to a minimum of only about 1/4 of the initial setting. During the monopolar cutting process the unit adjusts the output to the type of tissue (skin, muscles, fat, etc.) exactly as needed. Radiofrequency energy causes delibrate local lesions through the short and selective heating of certain tissue areas. The treated tissue is decomposed by the body‘s own immune system and transformed into fibrous scar tissue. This process leads to a stiffening of the treated area. The specifically designed RaVoR™ bipolar electrodes ensure a lesion suited to the patient‘s anatomy and thus an optimal stiffening. A special, super-thin insulation protects the mucosa from burns. Optional basic set with single-use patient plates.